You push the door to go outside, Goro. through the kitty door & tunnel soon. But still needs assistance to come back inside. As expected, cautious Niko is hesitant to use the tunnel. is the most progress he has made so far. It's okay - we use regular door until he feels comfortable. 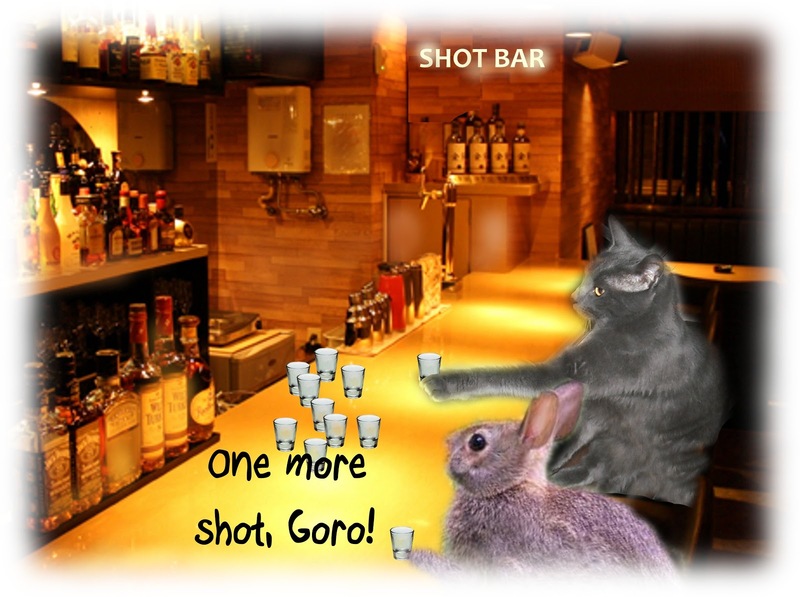 once both Goro & Niko enjoy using it. 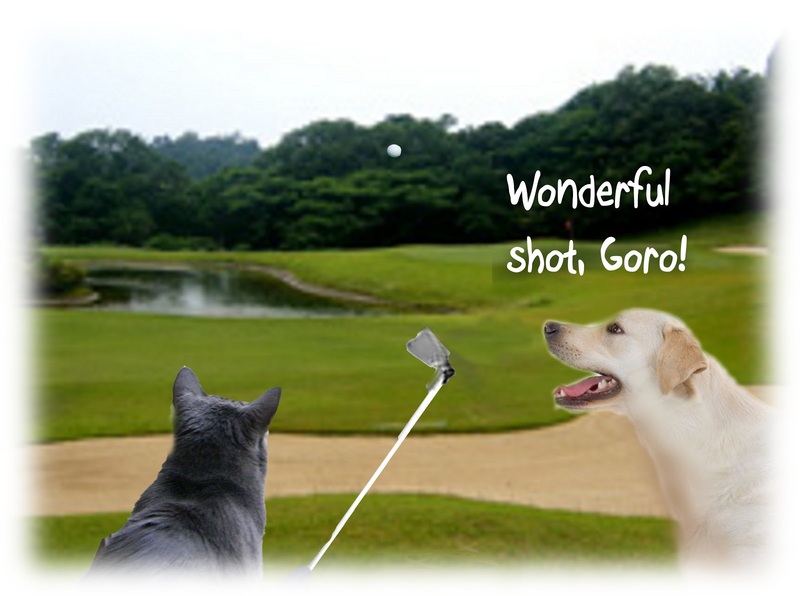 Actually, we have been out for Goro's allergy shot recently. Fortunately, his beautiful fur grew back. after consulting doctor, we decided to start immunotherapy. I hope we made a right decision for him. and Niko, he started taking allergy shot in order to be with them. You are not allergic to cat, Goro. Allergy shot has been working for Dad. 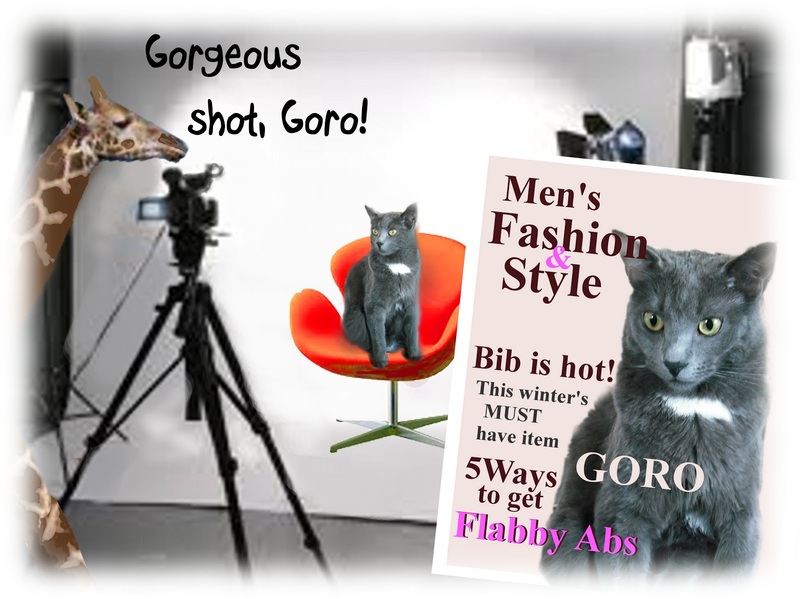 I hope it will work for Goro, too. (and occasional prick by his claw) and Niko's purring. warm, comfy bed. Can I borrow Goro & Niko's fur? I can't believe it's already November! like a ball. Maybe they are preparing for winter. They certainly look appetizing to Goro. Daylight saving time ended this weekend. It won't take long for winter to arrive. 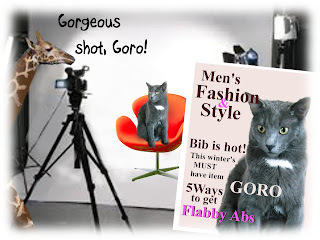 Goro & Niko's tummy clock.